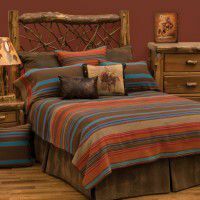 At The Cabin Shop we offer a large selection of cabin bedding and lodge quilt sets with matching accessories that will complement your rustic bedroom decor. 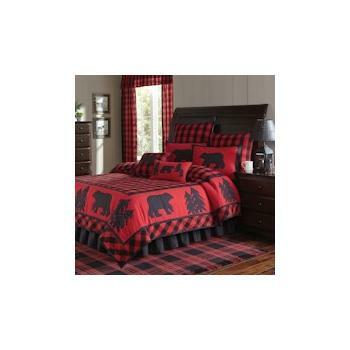 Our bedding features many different wildlife and lodge designs including bear comforter sets, moose quilts, western bedding and rustic comforter sets with matching drapes, valances, pillows and rugs. Also available are EZ bed sets which include the matching sheets. 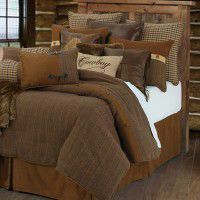 For a more formal look choose from our luxury designer bedding category where you will find exclusive lodge style duvet sets complete with euro shams and decorative pillows in nature, wildlife and pine cone designs.